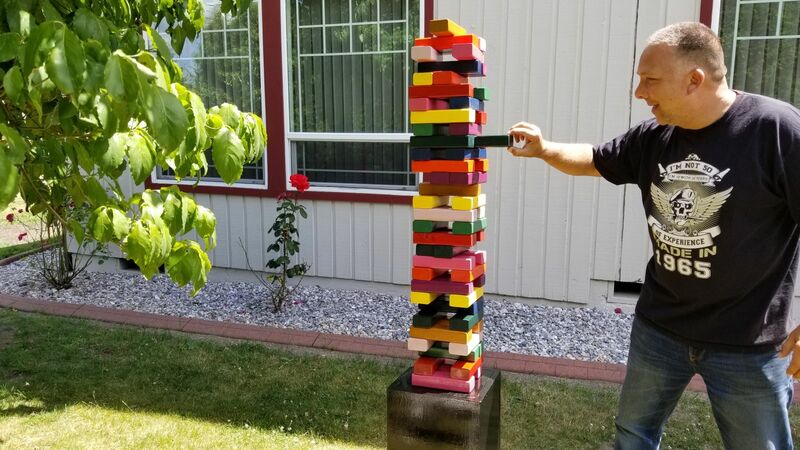 A giant version of the classic game. Who will be the one to make the tower fall? Find out as you and your family play the GIANT Hardwood Game. Pull the blocks and try to keep the tower standing. Will you be the one to knock it down? Perfect for indoor or outdoor events. Call us for help in planning the perfect event!